Application development for Blackberry is exceptionally well supported, much better than I had thought all along. Its J2ME platform is extended to allow more functional access, therefore more powerful than traditional J2ME. 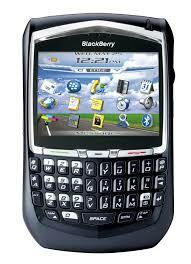 It has its own Blackberry JDE and even has plugin for Microsoft Visual Studio. Look at its documentations for more details. The API includes Phone Log access, Phone call event, email and browser. In future JSRs, these will be provided too. But for now, BlackBerry gives developers more power. BlackBerry Journal - A journal with pretty good Java tips and guide. Also mentioned that BlackBerry code signing is for a one-time-only $100.